With lots of different therapists on the market good recommendations are essential. Here local mums give theirs. "Sam listened to my story and after an informal chat made me relax and listen to her calming voice. I found the experience extremely positive and I immediately felt more in control. 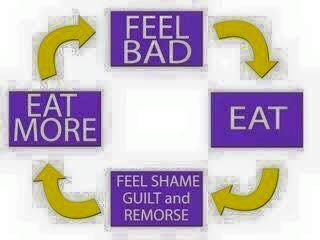 I realized I could stop this cycle that was bringing me so much unhappiness. That was over eighteen months ago and I have not eaten chocolate in any shape or form since. I do not miss it at all – it holds no temptation and I feel much healthier too as a result." Hypnotherapy Sutton�is a new breed of hypnotherapy practice that uses the most modern and dynamic therapies available to help clients achieve long lasting change in their behaviours.In deciding to make changes to your life, your next step is to find someone who is experienced, well qualified, friendly and professional. I have a wealth of experience in helping people from all walks of life and I pride myself on delivering hypnotherapy to the highest possible standard. Whether you want to overcome a problem, make changes, achieve a goal, eliminate a bad habit, build on strengths, create new skills, increase your self-esteem, or enjoy more energy and less stress, you can be assured you are in good hands. My treatments include stopping smoking, weight loss, increasing self esteem, stop biting your nails, overcoming insomnia, removing phobias and overcoming anxieties. Modern clinical hypnotherapy is a safe and very effective treatment for changing unwanted behaviours, attitudes and thought processes. The Health Education Authority says that “Research shows that there is more evidence for Hypnotherapy than any other Complementary Therapy. �By using hypnotherapy, people can perform prodigious feats of will power and self healing”. Hypnotherapy can help with many other problems so do enquire if your issue isn’t listed above. Please browse through this website and give me a call or drop me an email if you have any questions. At�Hypnotherapy Sutton�I can help you become the person you want and deserve to be. If you are reading this then you have already made the first, and maybe hardest, step to getting help with whatever your problem may be. Let me help you continue your journey.